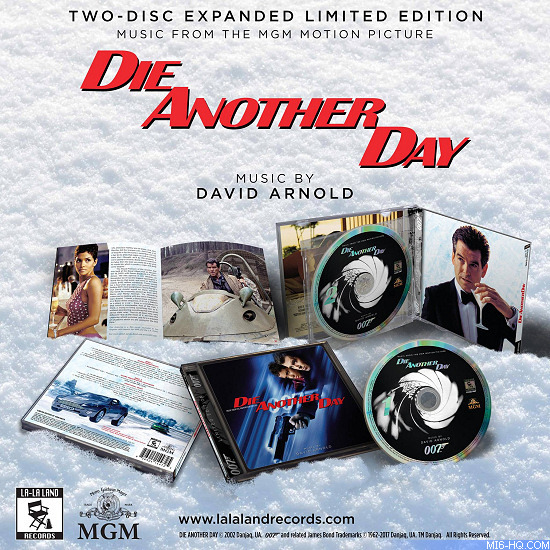 La-La Land Records, Warner Bros. Records, EON Productions and Metro-Goldwyn-Mayer proudly present the remastered and expanded CD re-issue release of the original motion picture score to the 2002 feature film 'Die Another Day', starring Pierce Brosnan as Ian Fleming’s James Bond 007. 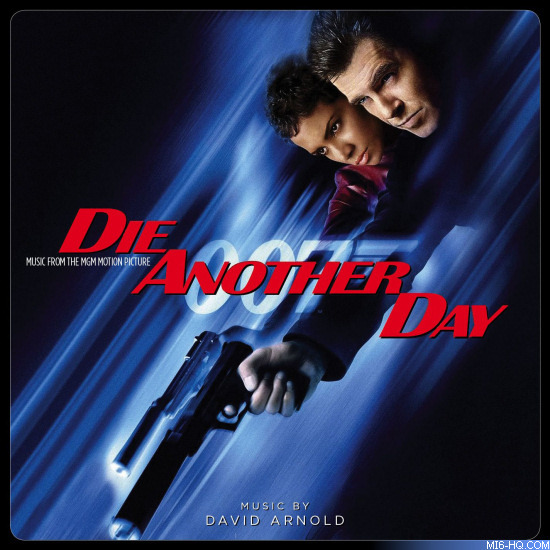 Acclaimed composer David Arnold ('Quantum of Solace', 'Casino Royale', 'The World Is Not Enough', 'Tomorrow Never Dies') unleashes a powerhouse of a score -- his third in the legendary James Bond canon. It’s a thrilling musical journey -- keeping one foot in the time-honored romance and swagger of classic Bond, and one in the age of cutting-edge electronics. Remastered and expanded, with over an hour of never-before-released music, this 2-CD deluxe presentation showcases Arnold’s score in a revelatory fashion that’s sure to leave listeners shaken and stirred in the best possible way! Produced by David Arnold and Neil S. Bulk, and mastered by Doug Schwartz, from new transfers of analog stereo tapes provided by the composer, this special release is limited to 5000 units and features exclusive, in-depth liner notes by writer Tim Greiving, including new comments from the composer. Dan Goldwasser’s sleek art design wraps up this must-have release in classic fashion. This limited edition 2-CD set retails at $29.98 and is exclusively available at www.lalalandrecords.com and other online soundtrack boutiques from November 28th, 2017 at noon PST. Music Full details on what we can expect from David Arnold`s official sound track, plus the cover art and bonus enhancements.